Maintain a safe facility with Hygiene Apparel. 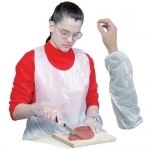 This collection of personal kitchen apparel is designed to assist restaurant operators in monitoring and encouraging personal hygiene in the foodservice industry. 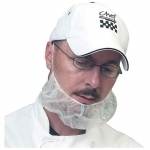 Hair & beard nets and aprons & sleeves prevent cross contamination during food preparation.